As the company’s Chief Fiduciary Officer, Stacy is responsible for ensuring that the work performed by our professionals meets the highest fiduciary standards. In doing so, she applies her legal expertise, tax planning and estate administration capabilities to implement client goals and objectives. Stacy enjoys working with her colleagues to deliver solutions to the complex issues that can arise in the management and stewardship of multigenerational wealth. She serves on the firm’s Trust Committee and has served as a Director of Fiduciary Trust’s Board since 2012. Stacy joined Fiduciary Trust in 2004. 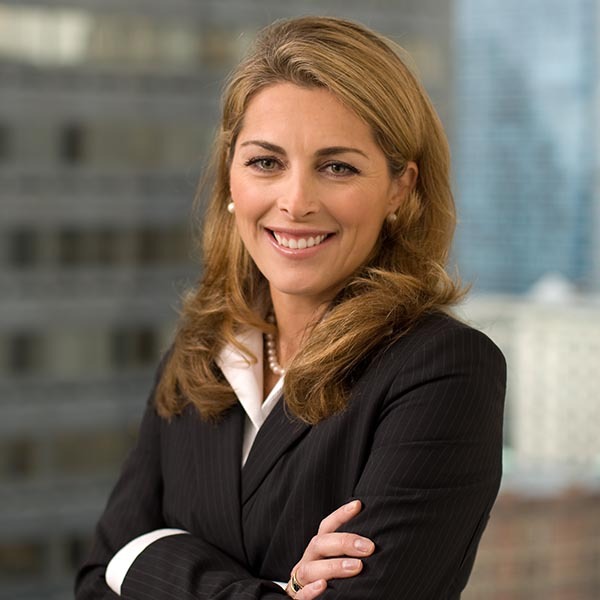 Prior to joining Fiduciary, she was Senior Counsel at Bank of America and FleetBoston Financial Corporation, Associate Counsel at BankBoston and an Associate with Ropes & Gray. Stacy lives in Boston, but enjoys spending time in the summer in Little Compton, Rhode Island. She is the busy mother of a daughter and son in high school. She enjoys biking, running, and traveling. She is an avid skier and spends time during the winter months in the White Mountains of New Hampshire with her family.